Everything you need to look after your fish. What is it about watching fish that is so spellbinding and calming? Whether you’re starting out with your first goldfish or stocking your aquarium, we’ve got everything you need. Come into our shop and get the benefit of our three decades of experience. From supplies to expert stocking advice, our staff can help. 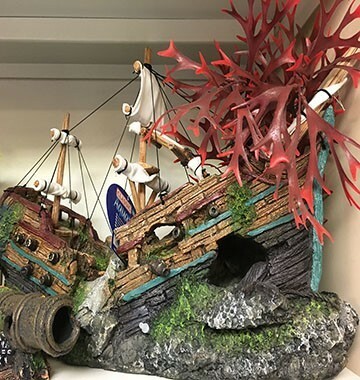 They’ll help you choose from our range of fish supplies. Need fish food? 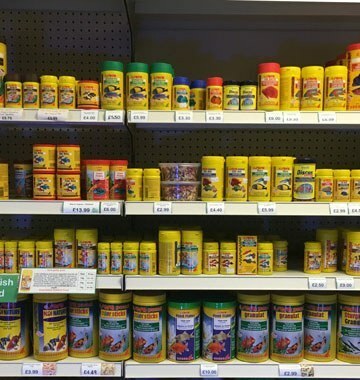 We’ve got an extensive in-shop range of quality goldfish, tropical fish, pond fish and marine fish foods at fantastic prices. 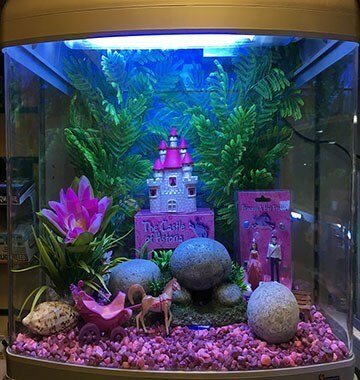 From starter sets to large feature sets, we’ve got aquariums to suit all budgets. Our in-shop experts will advise on the best choice for you. Browse hundreds of accessories in-shop. We’ve got pumps, filters, plants, lights, heaters, decorations, gravel and much more.